Well today starts a new year, meaning new hopes, new goals and I know a better year then 2011. Though I have to say 2011 wasn’t to bad of a year for me, after all I started my blog this fall and met so many nice people. I wanted to say thank you so much for your encouragement and support. You have challenged me to go beyond my comfort zone, try new things and best of all get back to cooking. I have enjoyed cooking and baking so much. It was one of those things I enjoyed in the past, but kind of gotten away from it with all the craziness life brings you. I think cooking brings friends, families and new people together, after all who doesn’t love food? So again I wanted to say thank you! I am looking forward to seeing what I create and what you create in 2012. Holding up my bottle of water and saying cheers! 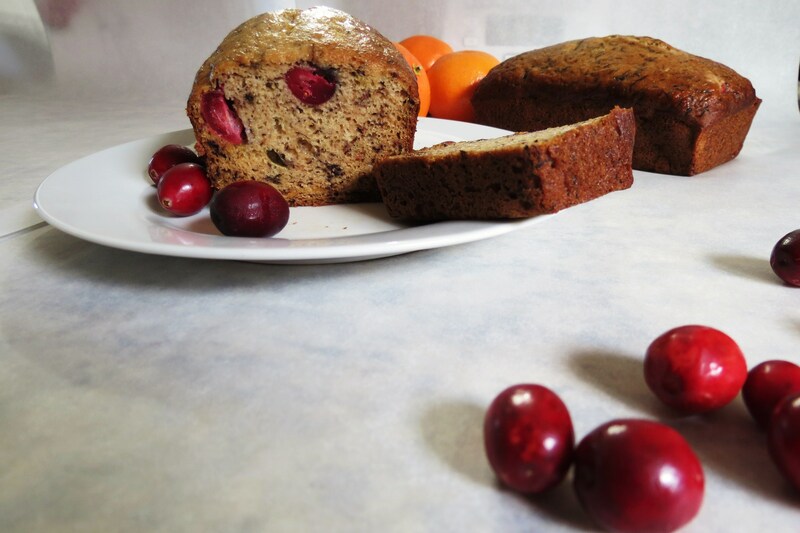 So with all that I wanted to start the year out right with an Cranberry Orange Banana Bread. I seem to have a little bit of a love affair with cranberry and orange encase you haven’t noticed, I have made Cranberry Orange Scones and Cranberry Orange Biscotti. 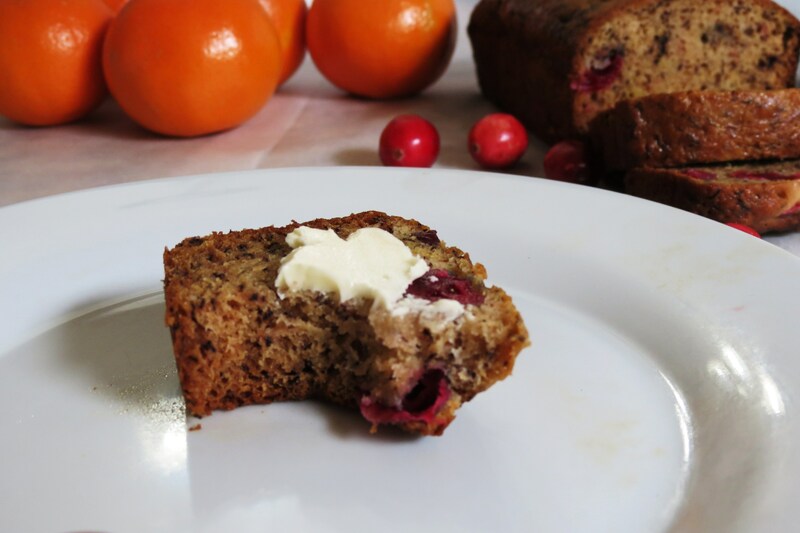 I just love the combination and now I created this moist delicious bread, which I will make again and again. This bread is so healthy for you! It’s just a 80 calories a slice. Talk about guilt free. You can make one fat loaf or do as I did and make 3 mini loafs. I like making the mini loafs, so my Hubby can take one to work, I freeze one and leave the other out for me to nibble on. 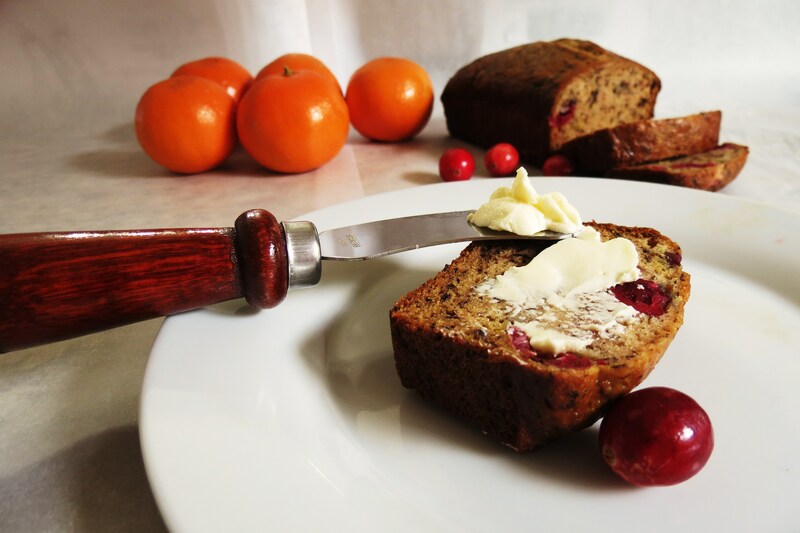 This bread is made with fresh cranberries, pure orange extract, a little orange zest and best of all no oil or butter! I used applesauce instead. Talk about a moist and healthy bread! You can’t beat this!! Yesterday Little Jenny and I went to Trader Joe’s, I know your shocked! But what a find I found, look at these little babies Jenny is holding. Only $2.39! Ok, I totally like buying weird looking things but come on, how fun. Now you know I don’t like Brussels Sprouts, but when I made this recipe, I fell in love and I need to make it again. The only thing I don’t like about Brussels Sprouts is they smell like toots, yes I said it, toots! I re-heated some up for lunch and my co-workers couldn’t eat with me because it stunk up the kitchen. He he See now you know what to do to get rid of people! 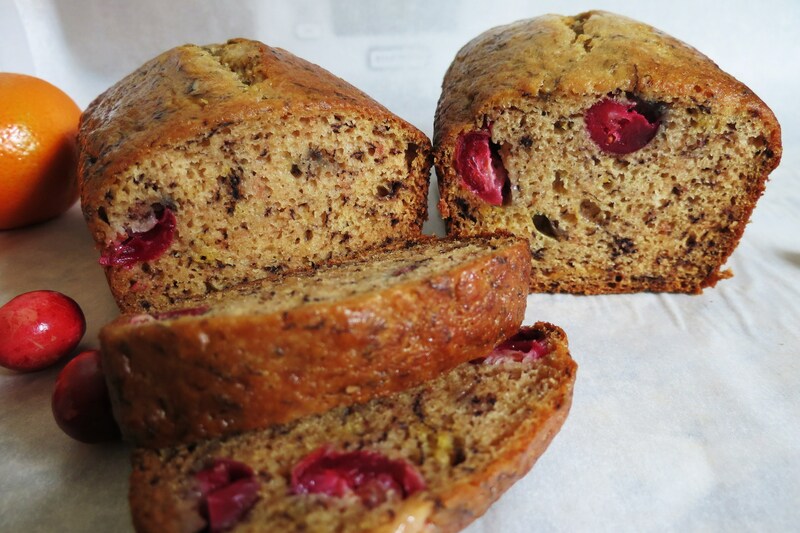 Now back to the Cranberry Orange Banana Bread. Look at the nook and kranies! 1 Mix together dry ingredients until well combined. 2 In a separate bowl, mix eggs, applesauce, vanilla extract, orange extract, orange zest and mashed bananas. 3 Stir banana mixture into flour mixture, and then add cranberries. 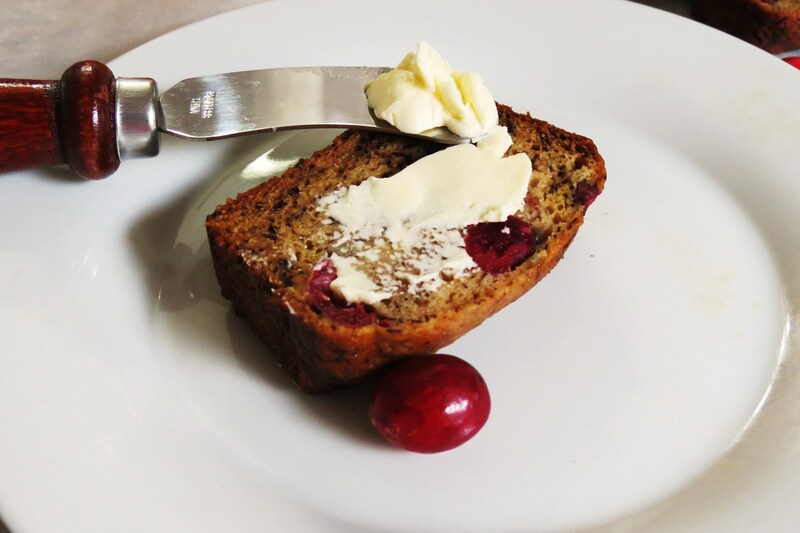 5 Bake in a greased loaf pan or (3 mini pans for 30 minutes) for approximately one hour at 350°F. 6 Bread is done when a toothpick comes out clean. Love those stats? You know I’m thinking of you and bringing in the new year on a good healthy start! 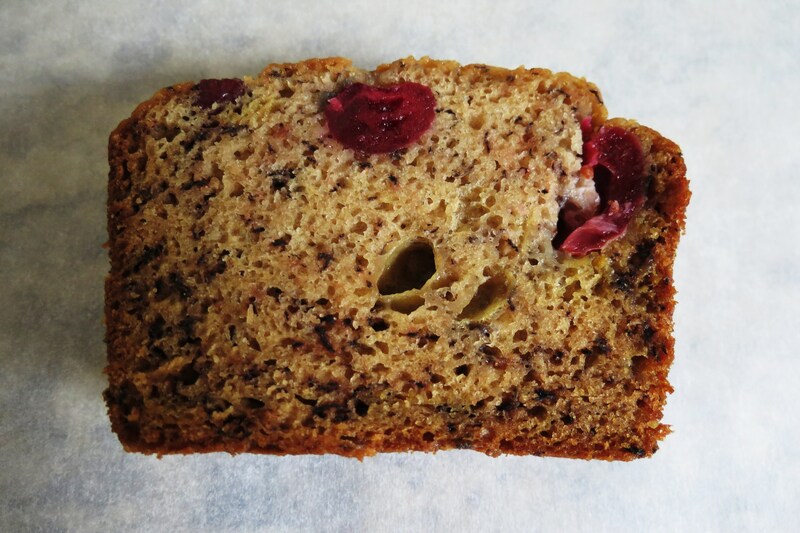 That is some mighty delicious bread for only 80 calories a slice! 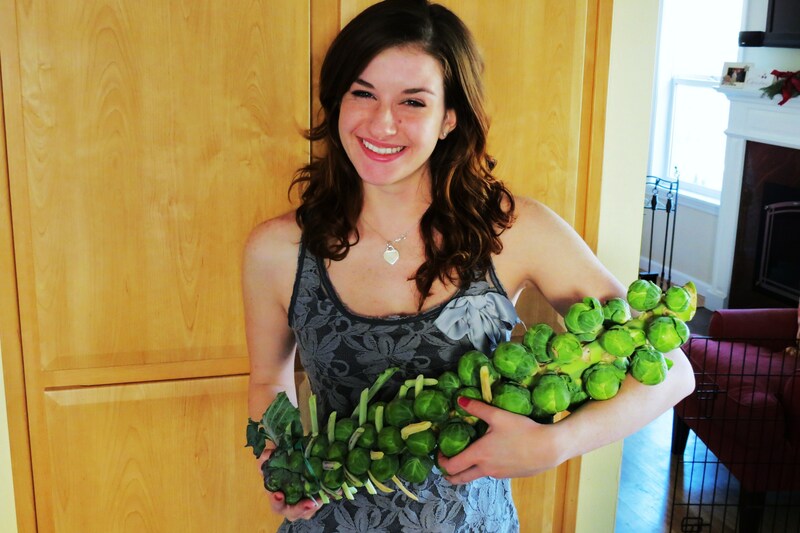 I LOVE brussels sprouts – I never did until I learned how to make them properly! They are SO much better and fresher from the stalk! I would have bought them, too! I agree about the Brussels Sprouts. I am going to invest in some different recipes with them. I’m thinking garlic and turkey bacon, but we shall see. Happy New Years! did you say only 80 cals a slice! Wow! I can’t think of a better way to begin the year! I am so glad I found your blog in 2011. I look forward to trying many of your wonderful recipes this year and beyond! I’m glad I found your blog too!! I can’t wait to see what you having cooking in 2012! Can you believe 2012 already! Wow, time goes so fast! Ooh, yum! 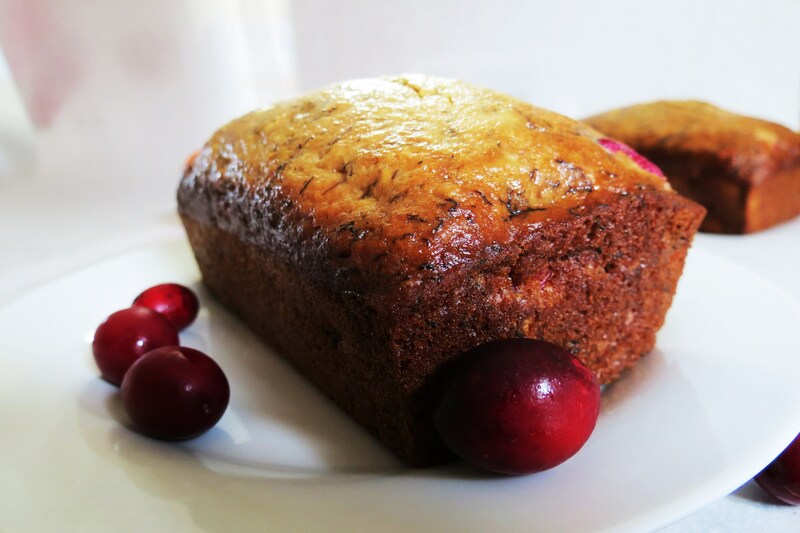 I just made banana bread today 🙂 and I’m inspired by your cranberries! MUST try, next round. Thanks!